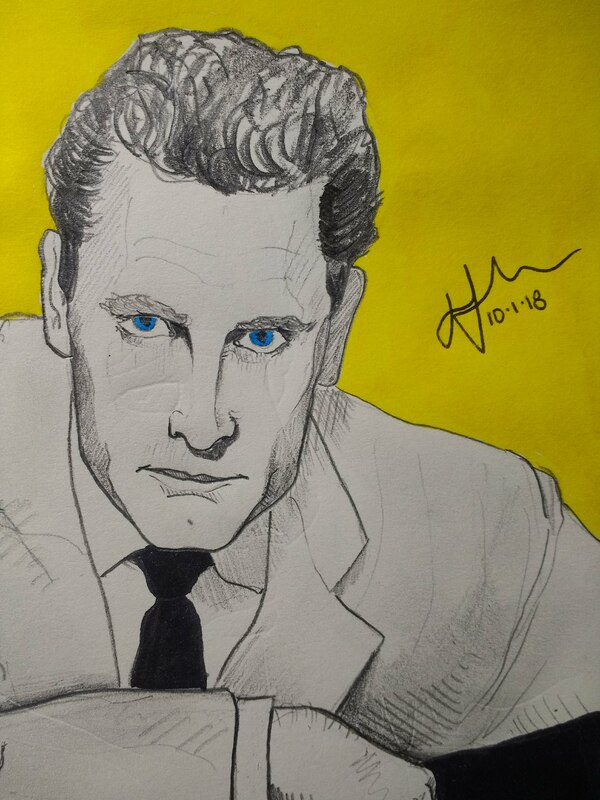 Enjoyed this one of a young Kirk Douglas, and actually fairly happy with the outcome. Drawing every day I’m definitely noticing an incremental improvement in my work. I’m getting more confident in my decisions – the complexity of poses, or the boldness of lines. "Although Douglas's image is that of a virile American, he was in fact the son of Russian immigrants and made it the hard way, putting himself through university and drama school working as a waiter, a professional wrestler and a bell-hop." Keep working hard out there, folks!